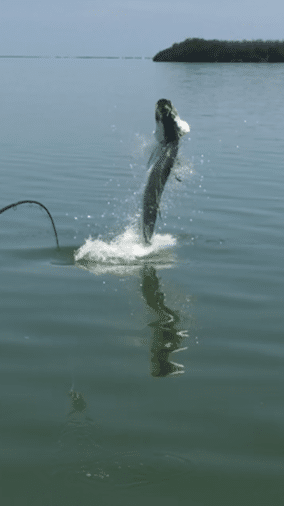 When most people think tarpon season is over in June, that is not the case. 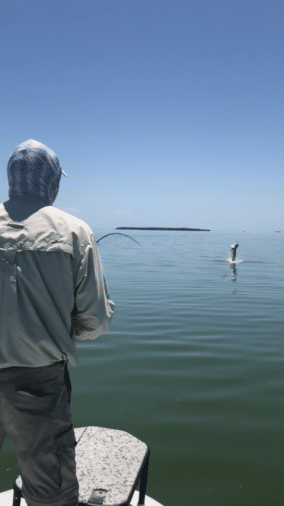 The tarpon fishing from Miami’s Biscayne bay, Islamorada, and Flamingo Everglades National park continues to stay strong through out the summer months. 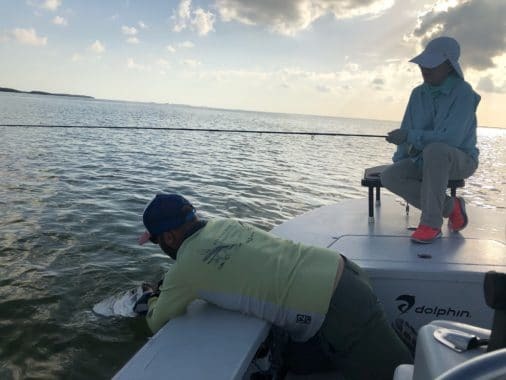 Although we don’t see the giant schools of migrating tarpon, there are plenty of fish from fifteen to fifty pounds up and down the south Florida coast. The tarpon fishing in the summer months is typically best early in the morning right at dawn. Summer conditions are usually calm, and this is when you see them rolling and feeding. A well place fly or lure usually does the trick in getting a bite. I am always targeting tarpon everyday I’m on the water, and the tarpon fishing will continue to stay solid through the fall months. Besides tarpon, we are always fishing for a flats grand slam. Bone fish, tarpon, and permit. If your looking for that first grand slam, give me a call. Micky with a nice juvenile tarpon. Another big tarpon on fly.